It’s been a while since we have had the pleasure of showcasing Tim Prosser’s aviation art. 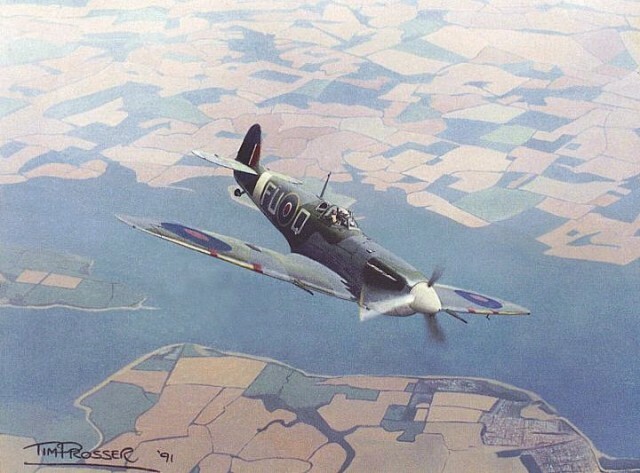 This painting shows a Spitfire Mk. V of No. 453 Squadron RAAF coded FU-Q at altitude over the Kent countryside. Tim, must admit you are good, but mate that’s an old one. You did that in London. What have you been doing lately. Steve! Where the hell have you been? Give me a call, mate! 9361 1348.